Even if you already have life insurance through your employer, you may be underinsured. If you’d like the security of knowing that you have enough life insurance coverage in place, we can work with you to ensure that there aren’t any gaps in your current coverage. If others depend on you for financial support, part of your financial plan should include how you will provide for them in the event of your death. Purchasing a life insurance policy is a safety net that ensures your loved ones’ future financial obligations are met, covering items such as funeral costs, outstanding debt, estate taxes and everyday living expenses. If you are married, it’s important for both spouses to have a life insurance policy. If both people bring in an income, a death can be a difficult financial loss. Also, if a stay-at-home parent should pass away, expenses such as childcare and other domestic items can create financial hardship, too. Regardless of whether you choose a term or permanent life insurance policy, both can give you protection and peace of mind knowing you have coverage when you need it most. All life insurance policies are not the same, the best protection for your family and assets are going to vary on your individual needs. Term Life Insurance: Term life insurance has a specified coverage period (term), but can usually be renewed or converted into a permanent policy at the end of the term. Premiums are generally affordable initially, but can increase substantially when renewed. Whole Life Insurance: Whole life insurance is a type of permanent insurance that offers life-long coverage combined with a cash-value savings component. This type of policy has higher premiums than term life. Premiums remain constant throughout the policy and a portion is invested by the company, which becomes the cash value of the policy. 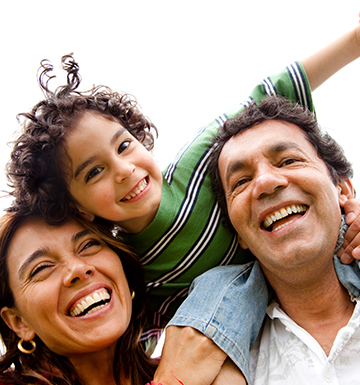 Whole life insurance pays a fixed amount upon death. Universal Life Insurance: Universal life insurance is another type of permanent insurance policy that combines term insurance with the ability to earn interest on the cash value, paying a market rate of return. Cash value grows tax-deferred, and can be withdrawn or borrowed from the policy. It is more flexible than whole life insurance as it also allows you to change your premium payments and death benefit, within limits. Variable Life Insurance: Variable life insurance is similar to universal life insurance in terms of flexibility and an investment aspect. However, instead of simply earning interest on the accumulated cash value, policy owners have more control over how to invest that cash. The ability to invest in professionally managed investment options allows for the potential to accumulate cash value while providing death benefits protection. However, there is greater risk for loss due to this benefit. Key Person Life Insurance: Key Personal Life Insurance is to cover individuals who is essential to the company’s success. This person may be a partner, majority stockholder or an individual with expertise that is unmatched throughout the rest of the company. If this person’s exit from the company is planned, such as retirement or voluntary termination, then you can prepare for the loss and take the necessary precautions to minimize the impact. However, if the departure is unplanned due to a death, disabling accident or quitting on the spot, then the company will be exposed to financial risks.